COVINA >> An argument between brothers escalated into a stabbing near Covina late Saturday, sending one to a hospital and the other to jail, authorities said. Juan Huizar, 19, was booked on suspicion of assault with a deadly weapon following the stabbing, which took place about 9:40 p.m. at their home in the 21000 block of Arrow Highway, in an unincorporated county area between Covina and San Dimas, Los Angeles County sheriff’s Sgt. Vicki Gregory said. He’s accused of stabbing his 23-year-old brother in the neck- and shoulder-area during an argument, the sergeant said. Paramedics rushed the victim to a trauma center by helicopter as a precaution, though the wounds were ultimately determined to be superficial and non-life-threatening, Gregory said. According to county booking records, the younger brother was being held in lieu of $30,000 bail pending his initial court appearance, scheduled Tuesday in West Covina Superior Court. PASADENA >> A Pomona man sought on suspicion of killing his wife by setting her on fire on Christmas Day is in custody after police found and arrested him on a bus in Pasadena Sunday morning, authorities said. Clarence Durell Dear, also described by police as Clarence Duwell Dear, 51, has been sought as a fugitive since Christmas Day, when he doused his wife in gasoline and set her on fire during a domestic dispute at their Pomona home, according to Pomona police Sgt. Bert Sanchez. Pasadena police officers and Los Angeles County sheriff’s deputies tracked Dear down on a Metro bus at Foothill Boulevard and Halstead Street in Pasadena shortly after 10 a.m., sheriff’s officials said. Pasadena police turned Dear over to Pomona police, where he was booked on suspicion of murder. Police in Pasadena deferred comment to their counterparts in Pomona. Pomona police released no further details regarding the case or the arrest Sunday. Dawn Hensley, 41, died following the alleged attack, which took place about 1:45 p.m. Friday at the home the victim and suspect shared in the 1500 block of Cordova Street in Pomona, officials said. Neighbors reported she fled from her home engulfed in flames and collapsed in the street, Sanchez said. She was taken to a hospital where she soon succumbed to her injuries. An autopsy was yet to be carried out Sunday, coroner’s officials said. Dear has no criminal convictions listed in Los Angeles Superior Court records. He was being held in lieu of $1 million bail at the Pomona Police Department’s jail pending his initial court appearance, scheduled Tuesday in Pomona Superior Court, records show. 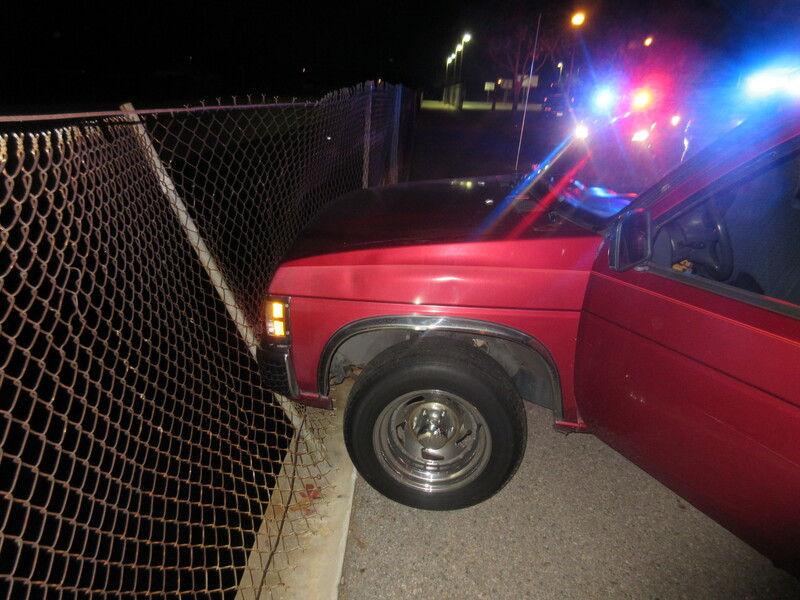 IRWINDALE >> Police working a DUI patrol in Irwindale late Christmas night arrested an alleged drunken driver who led them on a chase in a stolen pickup truck that ended in a crash at a park in Baldwin Park, authorities said. Miguel Higuera Lujan, 36, of Baldwin Park remained jailed in lieu of $25,000 bail Saturday on suspicion of auto theft, DUI and hit-and-run, according to Irwindale police officials and Los Angeles County booking records. Two officers were working an extra enforcement operation in search of intoxicated drivers just after 11 p.m. when they saw a 1994 Nissan pickup truck run a stop sign at Ramona Boulevard and Elton Avenue, Irwindale police Sgt. George Zendejas said. The driver refused to pull over, starting a chase, the sergeant said. He fled for about a mile, running through a red light otherwise driving recklessly, before driving the truck through the basketball court at Hilda L. Solis Park, at 15010 Badillo Street in Baldwin Park. “Thankfully, there was no one in the area,” Zendejas said. 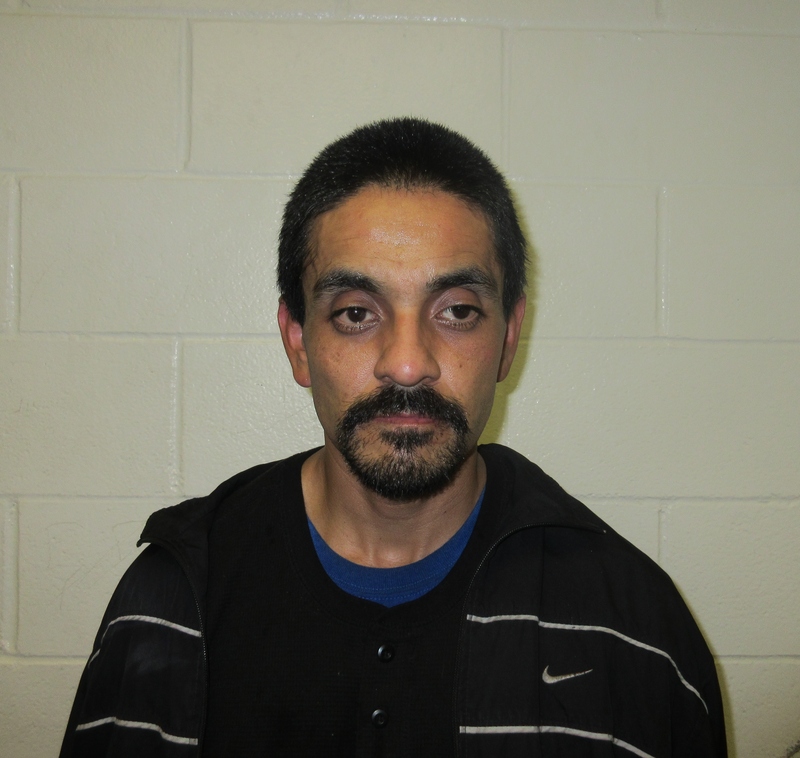 Lujan jumped from the still-moving truck and continued to flee on foot. The truck came to a stop after crashing into a chain link fence at the edge of a flood control channel, officials said. Police soon captured the fleeing suspect nearby. Police determined the truck had been reported stolen in the Temple City area. Zendejas commended the involved officers. “This was outstanding work on behalf of the officers working the DUI enforcement patrol and taking another dangerous DUI driver off the streets to keep our citizens safe during the holiday season,” he said. 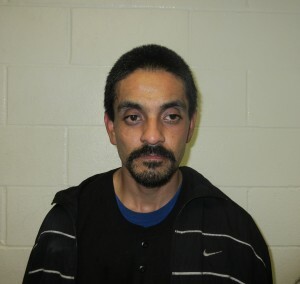 Lujan was scheduled to appear for arraignment Tuesday in West Covina Superior Court. POMONA >> Police are seeking a man they say killed his wife by dousing her with gasoline and setting her on fire at their Pomona home on Christmas Day. Clarence Duwell Dear, 51, of Pomona remained at large and was considered “extremely dangerous” Friday night, according to Pomona police Sgt. Bert Sanchez. Dawn Hensley, 41, died in the alleged attack, police officials said. The alleged attack took place about 1:45 p.m. in the 1500 block of Cordova Street, police said. “Neighbors who saw the victim run from the residence engulfed in flames rendered assistance as she collapsed on the street and remained with her until LA County Fire personnel arrived,” the sergeant said. Paramedics took Hensley to a hospital with severe burns, officials said. She died a short time later. Dear fled from the scene and hasn’t been found, Sanchez said. It was unclear whether he fled on foot, or had access to another form of transportation. Dear is described as black, 5 feet 10 inches tall, 170 pounds, with black and gray hair and brown eyes. Anyone who sees Dear, or anyone with information, is asked to contact their local police agency or Pomona police at 909-622-1241. Tips may also be submitted anonymously through L.A. Regional Crime Stoppers by calling 800-222-8477. 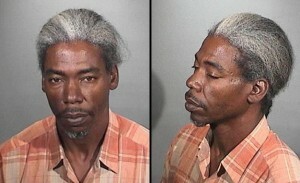 PHOTO of Clarence Duwell Dear, 51, of Pomona courtesy of the Pomona Police Department. PASADENA >> A man attacked a convenience store clerk and stole his cell phone in Pasadena Wednesday, police said. The assault and robbery took place about 8:10 a.m. at 7-Eleven, 1661 E. Colorado Blvd., Pasadena police Lt. John Mercado said. An employee noticed a man loitering in front of the store and went outside to ask him to leave, Mercado said. The man became angry and punched the clerk, causing him to drop his cell phone, the he said. The attacker grabbed the phone, an iPhone 6, and ran. Police described the robber as a black man in his 20s, with a light complexion, wearing a green hooded sweat shirt, gray sweat pants and white tennis shoes. The employee, a man in his 50s, suffered no significant injuries, Mercado said. COVINA >> Two women attacked and stabbed another woman late Wednesday while trying to rob the victim of her shoes, officials said. A 24-year-old La Puente woman was walking to a friend’s home about 9:20 p.m. when two other women approached her near a carport in the 1000 block of E. Badillo Street, Covina police Lt. Tim Doonan said. One of the woman demanded the victim’s shoes, he said. The victim refused to give up her shoes and became involved in a fight with the woman who was trying to rob her, Doonan said. The second suspect also jumped into the fray. The victim’s friend emerged from his home to find the two attackers standing over the injured woman, Doonan said. They fled when he yelled at them. Doonan said the victim then realized she had been stabbed. A friend took her to a hospital, where she was treated for a 1-inch slash wound to her chest. Both attackers were described as black women in their mid-20s, Doonan said. One stood about 5 feet 9 inches tall and weighed about 150 pounds, and wore a black sweater and blue jeans. She wore her hair in a bun. The second attacker was about 5 feet 5 inches tall and 200 pounds. Anyone with information can reach Covina police at 626-384-5595. Tips may also be submitted anonymously to L.A. Regional Crime Stoppers at 800-222-8477. SAN DIMAS >> A man shot and wounded another man in the parking lot of a San Dimas market late Wednesday, officials said. The victim, described as a man in his 20s, suffered a gunshot wound to his leg in the 7 p.m. shooting outside Ranch Town Liquor & Deli, 1112 N. San Dimas Ave., Los Angeles County sheriff’s Lt. Tonya Edwards said. He was on foot in the parking lot when the attacker, who was sitting in a dark minivan or truck, said something to him, the lieutenant said. The victim was unable to understand what the man told him, so he walked closer, Edwards said. The man again said something to the victim, which he could not understand, before jumping out of the vehicle and opening fire. Edwards said the victim was struck in the leg and taken to a hospital with injuries not believed to be life-threatening. A detailed description of the shooter was not available. The motive in the attack remained unclear as the investigation continued Wednesday night. ARCADIA >> A man fled with an unknown amount of cash after robbing a bank branch inside of an Arcadia grocery store Wednesday afternoon, police said. The crime took place about 3:30 p.m. at a U.S. Bank branch inside of a Ralphs grocery store, 1101 W. Huntington Drive, Arcadia police officials said in a written statement. “A man walked up to the window and presented a demand note to the teller as he verbally demanded money,” according to Lt. Roy Nakamura. “With the U.S. currency in his hands, the male suspect walked out of the location and away from the area without being seen,” Sgt. Jason Davis said. The robber was last seen walking south along Sunset Boulevard toward Huntington Drive, Nakamura said. No weapon was seen during the crime, he added. Initial radio reports from the scene indicated the suspect claimed to have a bomb, but police Wednesday night would not confirm whether that was the case. It was unclear whether the supermarket was evacuated or closed as a result of the incident. Police described the robber as a Latino man, approximately 26 to 27 years old, 5 feet 9 inches tall and 200 pounds. He was unshaven and had a mustache and a short goatee, and possible a mole on his right cheek. The robber wore a black-and-white striped Fedora hat with a black and white band, a dark zippered hooded sweatshirt and dark pants. Anyone with information is asked to contact Arcadia police. Tips may also be submitted anonymously to L.A. Regional Crime Stoppers at 800-222-8477. The FBI is also assisting Arcadia police in the investigation. 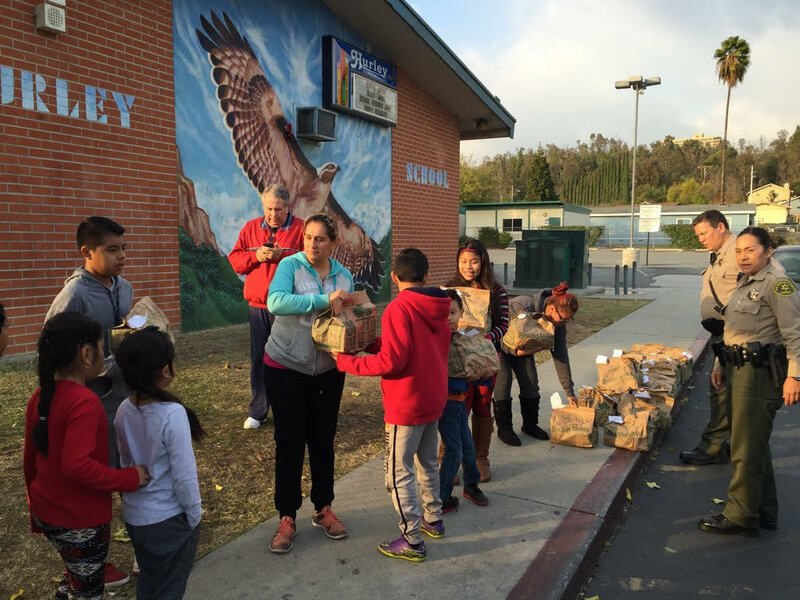 LA PUENTE >> Sheriff’s deputies from the La Puente Special Assignment Team joined businesses and a nonprofit organization to hand out more than 650 bags of food, along with toys, to needy families throughout La Puente Wednesday. 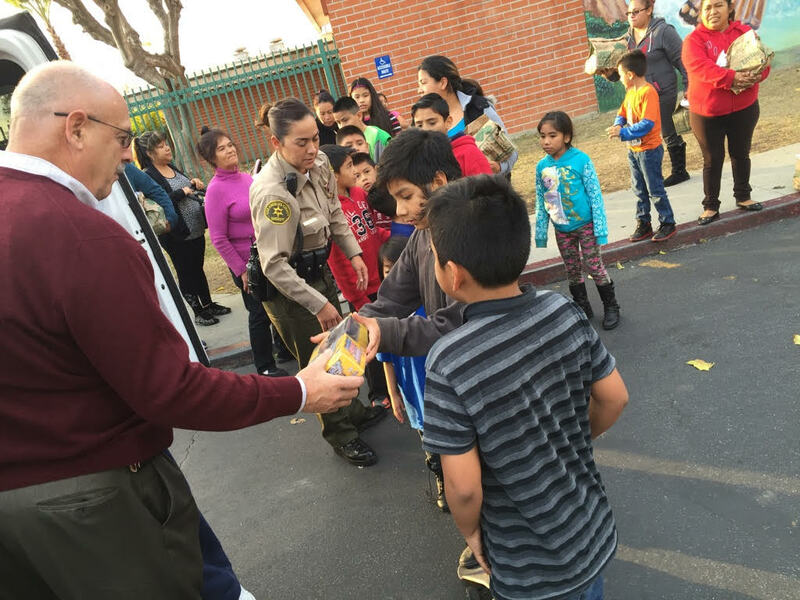 For the fourth year, deputies from the Sheriff’s Industry Station, which patrols La Puente, demonstrated their Community Oriented Policing mission by delivering holiday goodies, said Lt. Pete Cacheiro, who effectively serves as La Puente’s Chief of Police. “It keeps getting bigger,” Cacheiro said. Sprouts Farmers Market, La Bodega Market, Casique USA Authentic Mexican Cheese and Chino-based charity Isaiah’s Rock provided bags filled with food, while Roly’s Trucking donated toys to delight La Puente’s younger residents. The team of helpers delivered the gift packages throughout the city, including at Apartments along Orange Avenue, Hurley Elementary School, and numerous local churches, Cacheiro said. 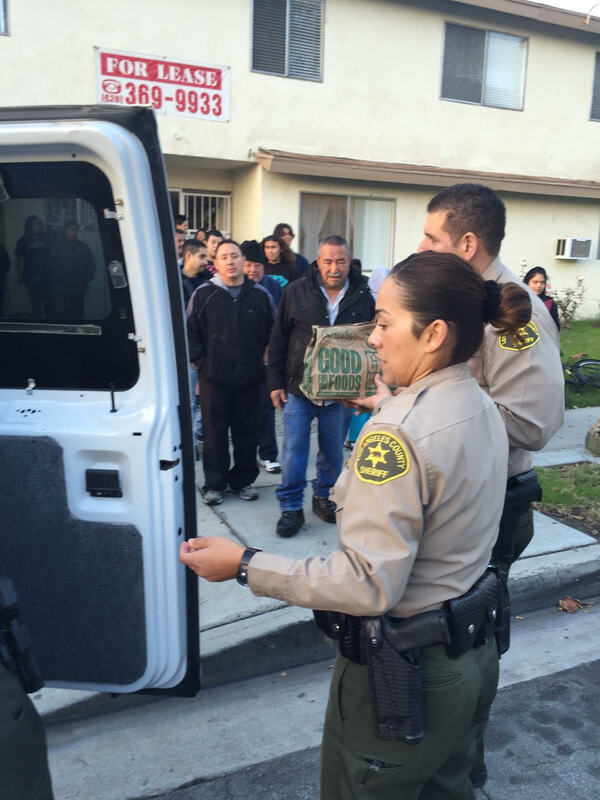 La Puente City Councilman Charlie Klinakis thanked the organizations and businesses that have formed relationships with the sheriff’s department to make the annual giveaway possible. “They do a lot of good for the community,” he said, noting that they take part in other charitable endeavors as well. Klinakis said he enjoys seeing the smiles the project brings to local residents young and old. LA PUENTE >> A man suffered a gunshot wound to his leg in a car-to-car shooting believed to have been motivated by road rage early Tuesday, authorities said. A 21-year-old man was driving about 5:20 a.m. when the shooting took place along Amar Road at Del Valle Avenue, Los Angeles County sheriff’s Lt. David Infante said. The driver of another car — described only as a white vehicle with tinted windows — apparently became enraged over a traffic-related dispute, the lieutenant said. “The victim heard multiple gunshots and felt a burning sensation,” the lieutenant said. He pulled over and discovered he had been shot in the upper leg. A detailed suspect description was not available, as the victim ducked down once the shooting started, Infante said. The wounded man was taken to a hospital with a wound not considered to be life-threatening, he said.